The Chinese clients of the Cyprus regulated brokerage ACFX are due to have their accounts screened. Chinese clients of Cyprus regulated brokerage ACFX have expressed worries over the company’s decision to send out a note elaborating on some possible delays in the processing of their withdrawal requests. The brokerage sent a note to the company’s clients that their accounts are due for a screening. 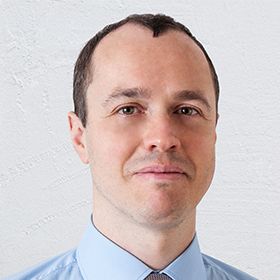 ACFX claims that the action is necessary due to some clients engaging in risk-less arbitrage and realizing unfair gains on their accounts. Its clients in China are worried by the move as it is directly impacting the disposability of their funds. However the company is scrambling to reassure them. 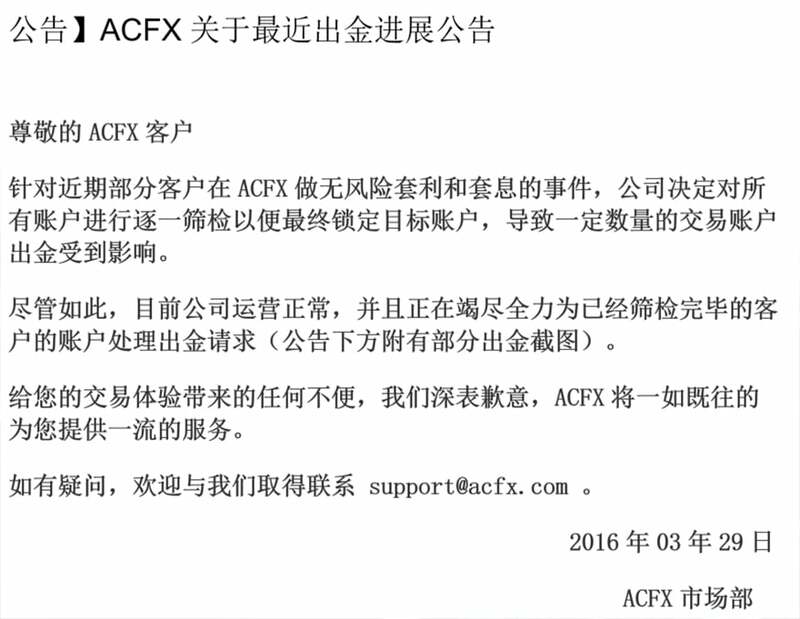 According to early reports in some local press, the offices of ACFX in Shenzhen and Shenyang have been closed for business. Finance Magnates has contacted representatives of ACFX for a comment on the matter. Back in 2014, another foreign exchange brokerage regulated in Cyprus caused an outrage amongst its Chinese clients after making a similar move and denying withdrawals to a number of clients. IronFX has since become involved in a number of controversies with European clients filing complaints in large numbers with the Cyprus Financial Ombudsman. “We’re operating as normal and will try our best to process the withdrawal requests of the clients whose account screening process is completed. We’re sorry to inconvenience your trading experience,” the statement concludes. Another bucket shop run by Serbian mafia gone bankrupt. This may look like a shameful plug, but I strongly encourage any broker out there to contact ThinkLiquidity if they have this type of flow (or if you are not sure if you do). Jeff, we all know that you were running Fortress prime risk books , are you offering people here to blow it up like you did for fortress? You should read the Magnates story on the subject. They were spot on. Pity the Chinese clients that will never see their money again and the employees that will lose their jobs. Left shenyang office 2 weeks ago because no process client withdrawl and client came to office and threten. How is this arb possible? There is no interest on a futures contract. Currently there is a great deal of futures front running in China. It is sweeping the market. My best guess is “swap abuse” was used as a technicality per their T&C’s. First sign things are going wrong is arbitrage. Arbitrage is the most obvious way to profit. So these guys from ACFX are penalising others for being smarter than them. Heh, what a pity way of trying to make money. Second flag is the explanation, or the lack of what is happening. Doesn’t really make any sense why withdrawal should be stopped. another stupid broker. ironfx copy cats. they had no money, they had no clients and they tried doing something after the collapse of the ironfx bucket shop. stupid serbian management. stupid PR campaigns. (posing next to clinton and ma). pity for the clients, pity for the employees. a shame for the fx industry in general. a massive change in regulations is need it. This is what happens when you pop champagnes bragging you are the Third most profitable company in Cyprus. Interesting stuff Jay. Can you or FM provide some more information ? Have there been any arrests since Chinese police is involved? What will happen to employees? So are you saying insolvency was caused by poor risk management and amateur management? Isn’t this broker STP ? No they are not STP. According to CYSEC website they have the authorization to do market making. However the law defines as to how much risk you can take, and here is the issue. They most probably took lots of risk (exposure) hoping that OIL will go down and clients accounts will be wiped out. The opposite happened. very good to see you all and taking time to shareyour thoughts. For which kebab shop are you working V Dave? we saw how FCA protected investors against Alpari UK Bankruptcy with 45 mln gone missing. you should do your homework before putting any post here. alpari have paid all still paying all clients money and they cant run off from FCA . any UK regulated company having head office and full operation in uk are lot better then any company regulated in Cyprus.FCA are most respected regulations. Hope cysec is not paying you commission. Cysec is also spoiling binary markets by giving regulations to scammers and because of this lots of new entries in forex are losing trust . 45 mln client funds gone missing and will never be recovered due to Alpari bankruptcy. FCA compensation fund will have to cover the missing amounts (due to their inability to ensure that Alpari’s client funds were properly reconciled) and anything in excess of the compensation fund cover amount will be simply lost forever with Alpari’s clients bearing that loss. I would like to thanks Finance magnets for making aware of this kind of incidence , its really helps for other companies and clients. Can we please shade some more light on this story? What are the amounts claimed? Heard today they fired more than 20 people from CY offices and the whole china personnel including senior management. They stole about 100.000 EUR from me by retrospectively charging 13 times the swaps they had in MT4. I traded during one and a half month with a long swap of 8.41 USD per lot and on March 9 they changed the swap to 104 USD per lot. The next day they decided to add this swap on top of the previous one and thus charge me 112.41 USD per lot for each past day that my OILUSD trades were open. Via this way they essentially erased my balance and almost all of my profits. Essentially if someone makes profits at ACFX and if they don’t have the money to pay they call it arbitrage to cut the long story short. They made the mistake however to trigger in this way more withdraws which revealed the huge hole in their client cash which now they are unable to cover. Fortress Prime repeat 100%. Run to save yoursleves both clinets and employees!!!!! does anyone know of other forums where people are discussing acfx so i can find some more updates. Good Luck, you will need it!!! I was one of the clients of ACFX suffering big loss And i am not from China, but from Europe. Had 5 lots of oil for around 20 days. They stole about 12.000 EUR from me by retrospectively charging 13 times the swaps they had in MT4. I have opened a FPA case. I have made an official complain to ACFX 3 weeks ago but haven’t heard back from them. 2. CySEC (note cysec will not investigate individual complaints, so number 1 above will help you for sure, however by also complaining to cysec you will bring the whole matter to them and they will investigate the company itself for possible infringement of the laws. Any update on these Crooks? Chinese offices are still shut with personnel and client funds nowhere to be seen.